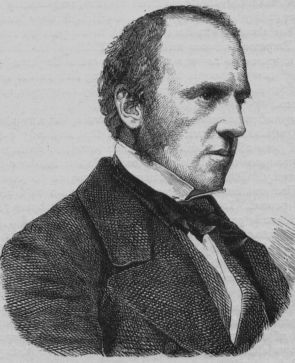 Lord Canning was the Governor General of India from 1856 to 1862 during which time the Government of India Act 1858 was passed. In this act, a new position was created in the Indian Administration known as the office of the Viceroy. The position of Viceroy was held by the Governor General of India hence making Lord Canning the first viceroy of India. We all know that the great mutiny known as the Sepoy mutiny happened in 1857. This was one of the significant events during the tenure of Lord Canning. Apart from this, some important events which happened were the passing of the Indian councils act 1861, withdrawal of the Doctrine of Lapse, introduction of Indian Penal Code 1858, establishment of the High Courts of India, Bengal rent act of 1859, collection of experimental income tax etc. In November 1858, a royal proclamation from the Queen of England was sent to the grand Darbar of Allahabad by Lord Canning. This proclamation stated that Queen Victoria had taken direct control of the Government of India. It also established principles upon which the governing of India shall be conducted in the future. 1. Treaties and agreements which were negotiated and made by the East India Company with Indian princely states would still be valid and honoured. 2. East India Company will not be allowed to extend its territories and neither would any Indian state allowed to intrude on British territories. 3. The status and dignity of the native Indian princess would be honoured. 4. Queen Victoria through this proclamation stated a desire that British people in India should enjoy prosperity and social advancement which could only be achieved by a state of internal peace and good government. 5. There will be no discrimination on the basis of race or otherwise for admission to various services or offices of the government. This meant that Indians as well as British nationals hold equal status when it comes to recruitment offices. 6. The people of India who did not directly partake in the murder of a British national during the sepoy mutiny will receive complete amnesty. 7. This proclamation was known as the Magna Carta of the people of India. Once the government of India came directly under the Crown, the army of the East India Company was dissolved. The last assembly of the company's Army was held on 1st September 1858. Any members of its army which were still left in India were incorporated as a part of the British royal Army. Indian sepoys were also recruited in the regular service of British army. The Government of India Act received ascent from Queen Victoria on August 2nd 1858 and came into force on November 1st 1858. This act provided for the liquidation of the assets of East India Company so that they could be transferred and taken under the control of the British government. 1. The secretary of state of India now held the powers of the Board of Control and court of directors of the East India Company. Taking the full control and authority of the Indian Administration was the whole purpose behind creating this office. 2. The secretary of state of India was accountable to the British Parliament and was also a member of the British Parliament. 4. As the secretary of state of India was accountable to the British Parliament, the members could ask him on any matters related to the Indian Administration. 6. The Government of India Act centralised the structure of administration but it was only a formal change and it did not cause any significant changes in the lives of the general public of India. In 1861, the British Parliament passed the Indian Councils act which provided for the addition of a fifth member to the governor general’s council. By doing this, the burdened office of the governor general finally had some adequate help. Apart from this, about 6 to 12 members were also added for the sole purpose of making laws. The governor general was also empowered with some special powers so that he could easily perform his duties without going through lengthy channels. He now had the power to delegate some of his tasks to the individual members of his executive Council. The Indian Councils Act also provided the governments of Bombay and Madras with legislative powers. This act stated that any person, Indian or otherwise could be recruited to any of those offices which were mentioned in the Act. The only condition was that he must have been a resident of India for at least 7 years. Any candidate who wished to be recruited, had to pass an exam in the local language of the district in which he wants to be employed. But this act also maintained that some of the principal civil offices in India were reserved for people who had serviced in the covenanted Civil Service means that only British people were eligible for these offices. When Indians demanded to be recruited in the covenanted Civil Services, they were turned down. By this act, the Supreme Courts, Sadar Diwani Adalat, and Sadar Faujdari Adalat were combined and High Courts were established in India. The jurisdiction of above mentioned courts was absorbed by the High Courts. Every High Court composed of one chief justice and 15 judges at the most. The high court of judicature of Fort Williams was established on 1st July 1862, the first chief justice of this court was Sir Barnes peacock. This court was later named as the Calcutta High Court and was the first High Court of India whose first Indian judge was Justice Shambhu Nath Pandit. The Bombay High Court was established on 14th August 1862. Madras High Court was established on 26th June 1862. On 17th March 1866, a High Court of judicature came into existence at Agra for the North Western provinces. It was shifted from Agra to Allahabad in 1869 and it later became the High Court of Allahabad on 11th March 1919. The Indian Penal Code was drafted in 1860 and was enacted in 1862. Before this time, justice was served on the basis of “the English criminal law”. One more important thing about the Indian penal code is that the initial sketch was drawn by Lord Macaulay in 1830s. As mentioned above by the Indian Council act 1861, a fifth member was added to the executive Council of the governor general. This member was added as a finance member. James Wilson was the first finance member of governor generals Council. Initially he proposed three different types of taxes but his successor was the one who introduced the income tax. A person who had an income of more than rupees 500 had to pay 5% tax per year. Among other financial reforms, the government significantly reduced its expenditure on military. Salt taxes were also increase in order to boost the revenue from the Indian states. Lord Canning was given the title of ‘Clemency Canning’. After the mutiny of 1857, he did not seek vengeance from the Indian Sepoys. His Policy was liberal and tolerant which is why he imparted some level of faith in the Indian community at that time. He provided the Indian princes with different favours who had helped the British during the revolution. He also was a part of the abolishment of the doctrine of lapse which finally made it clear that the British government shall not interfere unless it's a case of misgovernance and once the situation was back to normal the British shall withdraw from that it. Canning died within a month of leaving India in March 1862. He was succeeded by Lord Elgin.